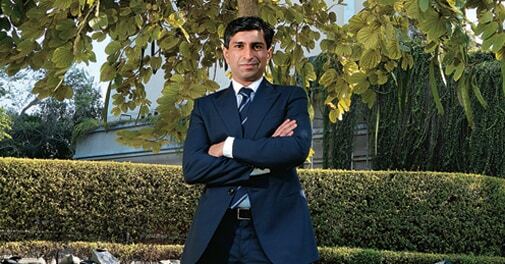 Ratul Puri unveils a mega investment plan for his fledgling power generation business. Ratul Puri wanted an image makeover for Moser Baer Power Projects and the best possible way was to shed the baggage of the name. Moser Baer was founded by Puri's father Deepak in 1983 and the company became a household name for selling cheap CDs, DVDs and rewritable discs. But Puri had forayed into a completely different business of power generation by the end of 2008. After about four years he decided to change the company name to Hindustan Powerprojects Pvt. Ltd. (HPPPL). "We were building a new identity," says Puri. HPPPL is not a subsidiary of Moser Baer and nor does Puri's father hold any shares in the company. About 65 per cent of the company is owned by Puri and his children (the rest of the company's equity is with institutional investors). More than two years ago Puri stepped down from the board of Moser Baer and since then has been busy building the power generation business which he thinks will grow exponentially in the future. Puri rattles off a few statistics to Business Today on the sidelines of the India Today Conclave in New Delhi to explain why he is betting big on power. "In the power sector India needs to invest about a trillion dollars to match the deficit in the next 20 years," says Puri. HPPPL will focus on coal thermal, hydro and solar power plants. The company is already India's largest solar power generation company. It generates 350 megawatt solar power which Puri intends to increase to 1.5 gigawatt in the next three years. He has already pumped in more than Rs 6,000 crore to build solar power assets for boosting generation capacity. Another Rs 6,000 crore has gone into building coal thermal plants in Madhya Pradesh and Chhattisgarh and a distribution network. By 2016, Puri will pump in Rs 32,000 crore into HPPPL ' of which Rs 13,500 crore has already been utilised by the company ' to raise its power generation capacity to six gigawatt. Thermal power will account for four gigawatts, 1.5 gigawatt will come from solar and the rest from hydro. This is likely to put it among the top five power producers in the country. NTPC is the leading power generation company in India currently with an installed capacity of almost 43 gigawatt. Puri says he does not want to depend entirely on thermal power because there will be a shortage of coal in India in the future. He does not want to depend on imported coal. "How can we depend on a supply chain that sits in a third party country," he says. While HPPPL's thermal plants in Madhya Pradesh and Chhattisgarh are yet to go on stream, it began solar power generation in 2010/11. The company had an EBITDA (earnings before interest tax depreciation and amortisation) of Rs 500 crore from its solar business in 2012/13. The first phase of HPPPL's thermal power plant in Madhya Pradesh is likely to be commissioned in the next couple of quarters and will help the company generate 1,200 megawatt of power by the end of 2014/15. Its hydro and solar plants will generate another 1,000 megawatt by then. Next in line is the commissioning of the second phase of the thermal power plant in Madhya Pradesh, followed by Chhattisgarh.